QUICPay's Q-pay is back in another set of awesome stickers! Friend QUICPay's official account to get these stickers. 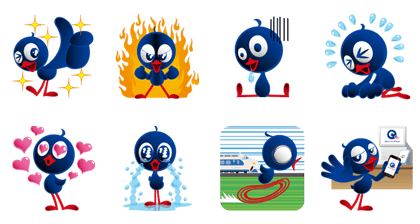 QUICPay's lovable electronic money mascot Q-pay is back in a third set of stickers! Friend QUICPay's official account to get the set at no cost to you!